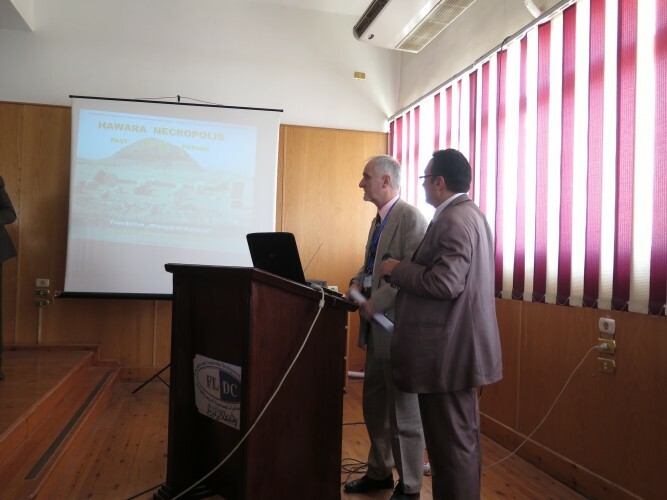 The representatives of the Polish Foundation for the Support of Research to Disclose Ancient and Modern Knowledge Wisdom of Nations took part in the International Conference under the title: Ancient Near Eastern Civilizations And Its Influences Through the Ages, organized by the Institute of Ancient Near Eastern Civilization, University of Zagazig on March 13-15, 2016. 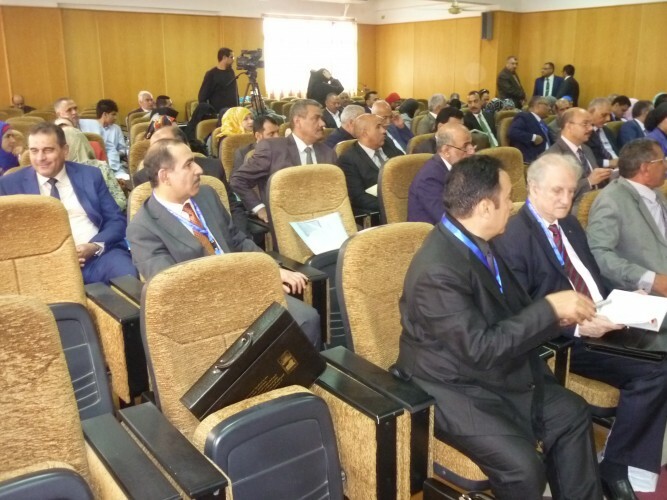 About 150 delegates of various institutions and universities from: Egypt, Jordan, Iraq, the United Arab Emirates, Saudi Arabia, Tunisia, Libya and Poland attended the Conference. This Conference was announced for a long time (since 2010), but the unstable political situation in the Middle East caused a continuous moving the date. It finally came to conclusion in March this year. The reason for the invitation of Polish delegation was the fact of involvement of the Polish foundation in research at the Hawara Necropolis area conducted in years 2008 – 2009 by signed agreement between the Cairo University and the University of Wroclaw (Poland). 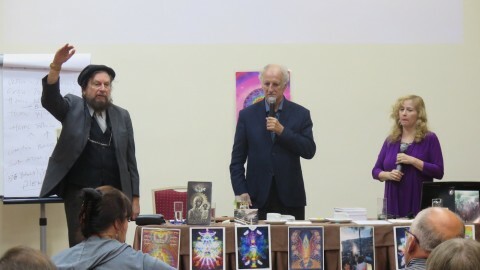 Dr. Adam Szynkiewicz, dr. Reda Abdel Haleem and Andrzej Wojcikiewicz attended the Conference on behalf of the Foundation Wisdom of Nartions. Dr. Szynkiewicz presented paper entitled: “Hawara – Past … Present … Future”. President of the Foundation, Andrzej (Andrew) Wójcikiewicz, was invited to discuss with the Egyptian authorities and University officials a scope of cooperation between the Foundation Wisdom of Nations and Academic Institutions in Egypt in conducting further research to preserve and disclose ancient knowledge in important Egyptian sites. Since we were the only Europeans participating in the Conference we met with a great interest of the local media as well by representatives of universities from visiting delegates of participating countries. Presentation of Dr. Szynkiewicz about Hawara gathered a large group of listeners. Abstracts were printed in English and Arabic, and papers will be published in full in the Conference materials. Dr. Adam Szynkiewicz, former researcher and employee of the Institute of Geological Sciences, University of Wroclaw, supervised the geological (drilling) and GPR (Ground Penetrating Radar) survey, which were made near the mud pyramid in Hawara in the year 2008. Egyptologists regard the Hawara Necropolis area as the place where the Great Labyrinth described by Herodotus around 450 years BC once was situated. Since results of geological and GPR research displayed very interesting anomalies, suggesting the existence of underground unknown structures – presentation of these results at a scientific conference in Egypt was highly desirable. Dr. Reda Abdul Haleem from Egypt was another member of the Polish Foundation, who took part in the Zagazig Conference. Dr. Reda, (who is member of Foundation’s Council) at the time of Hawara research served as on-site Manager. Presently he is employee of the Ministry of Antiquities in Cairo and the Giza Pyramids Director, responsible for international relations. Dr. Reda presented a very interesting paper on the possible existence of a second Sphinx at the Pyramids area. Confirmation of this thesis by a separate research would be quite a sensational discovery. A separate article on this subject will be placed on our website at a later date. Modern archaeological excavations in the Hawara Necropolis area were initiated in the late nineteenth century by English archaeologist Flinders Petrie. These studies were stopped in 1911. Researchers have renewed their interest in the area of mud-brick pyramid of Hawara only 100 years later. In February 2008, a group led by Prof. Abbas Mohamed Abbas from Cairo National Research Institute of Astronomy and Geophysics (NRIAG), made a series of complex geophysical survey in the area south and west of the pyramid. The Ghent University from Belgium financed this research. 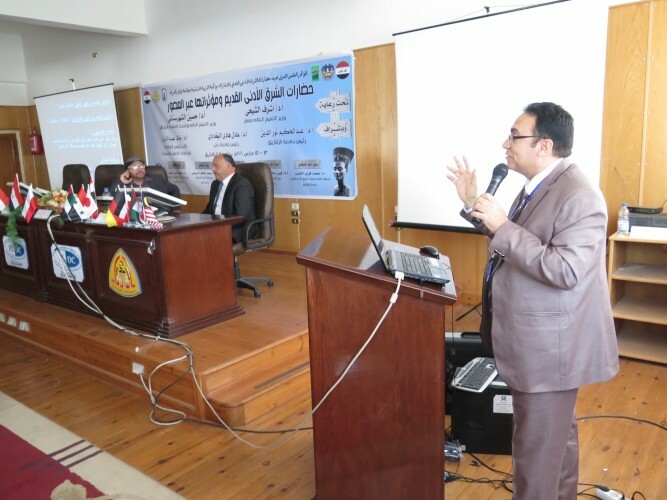 First, analysis of archival geological data from the area of the pyramids in Hawara was prepared. It was obtained from Egyptian geologists. At the request of Polish team – two geological drillings were done. This data was used to prepare geological cross-sections through the Hawara pyramid and its surrounding. Secondly, preliminary Ground Penetrating Radar (GPR) studies were done in the immediate vicinity of the pyramid on north, east, south and west sides. Thirdly, three geological control trenches were made on the eastern and northern side of the pyramid. In order to be able to perform further GPR studies, a written request was submitted to the Supreme Council of Antiquities for permission to clear heaps of sand by levelling the ground on the eastern side of Hawara pyramid and get a flat and even surface. The permission from the Supreme Council of Antiquities was granted. The Cairo University Faculty of Archaeology supervised this work. Numerous archaeological finds (over 50) from the Greco-Roman times were discovered during the clean up work near the eastern side of the pyramid. 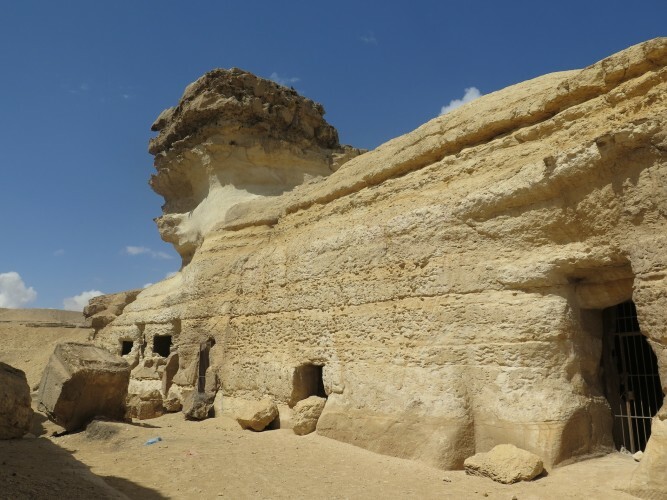 All finds were documented and most of them are secured in a storage room at Fayoum. Some of larger artefacts were placed in a small, open-air museum, at the Hawara pyramid site. For a reason unknown to us, the research at the Hawara Necropolis area was stopped in April 2009. Currently the mud-brick pyramid at Hawara is in very bad condition. Its surface is seriously damaged. Around the pyramids are great heaps of sand, through which it is difficult to pass. The southern entrance to the pyramid is partially buried and needs to be restored soon since it is in danger of collapsing. Chambers and channels under the pyramid are flooded with water. 8. Drafting a project of tourism activation for the area of: Hawara Necropolis and Lahun (tour routes and infrastructure for travellers, communication, etc.). With respect to the implementation of the above activities – our Foundations are ready to support these activities after signing appropriate agreements and obtaining permits from the Ministry of Antiquities.